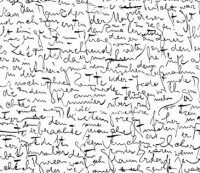 The digital media repository is an extensive collection of interviews with contemporary German writers, mostly based in Berlin. Geared toward intermediate and advanced students of German, the collection centers on the authors’ views on memory and commemoration, a key theme in German literature and society. The repository encourages students to explore the complex interconnections that form literary texts, such as those between text and culture, and between text and the author’s biography. Students can focus on specific interview segments and build collections, collaborate with each other and compare findings. Gedenken und Gedächtnis has been used extensively in German language and literature courses at MIT since 2004. Provided conceptual support and integration into the Metamedia platform. Conceptualized project from inception. Provided editing assistance.